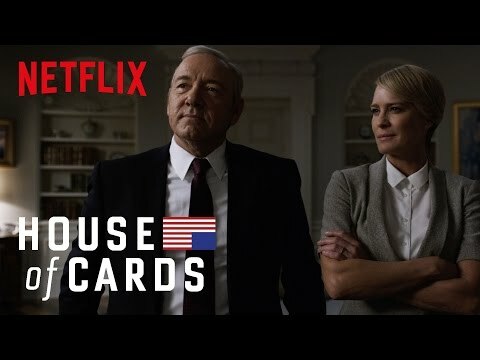 House of Cards is back with season five on May 31 in the UAE and this show has never been more relevant, thanks to where global politics stand right now. In case you don’t have time to binge the first four seasons, let’s get you up-to-date, shall we? On February 1st 2013, Kevin Spacey dawned the role of Francis “Frank” J. Underwood, a democratic US Congressman from South Carolina. The show started out showing mere domestic politics in the United States of America, nothing you haven’t seen before. Frank was a career-driven man who wouldn’t see anything stand in his way. Frank’s wife Claire, played by the breath-taking-god’s-gift-to-humanity Robin Wright, like her husband, is calm, poised and focused. Like all superheroes or villains, Frank too has a sidekick. Enter Douglas “Doug” Stamper, played by the uber-intense Michael Kelly, who has a ‘no-holds-barred’ attitude towards anything Frank asks of him. These are the three main characters you need to keep in mind. In the very first scene of the first season of the show, Frank breaks the fourth wall and speaks to the camera. The basic plot of season one involves Frank’s affair with Zoe Barnes (Kate Mara) who is a journalist at the Washington Herald, Claire’s affair with a photographer and Doug’s interest in Rachel Posner (Rachel Brosnahan). Rachel Posneris involved with Peter Russo (Corey Stoll), who is integral to Frank’s increasing his chances of becoming Vice President. As Russo discovers Frank’s devious motives and tries to go against him, Frank makes a move and kills him. The season ends with Frank being named Vice President of the United States. The highly toxic season two begins with Frank pushing Zoe under a train since she was getting close to finding out the truth about Peter Russo’s death. Claire and Frank continue to show the quirkiness or strength of their relationship through a love triangle with their bodyguard. Doug is creepily fixated on Rachel and she still poses a threat to Frank. Unfortunately, she flees after attacking Doug and leaving him for dead. Frank’s plan using a malicious Chinese deal works and ousts the President. At the end of the season, Frank’s work is complete and he’s sworn in as President. Season three is where one of the most stable parts of the first two seasons takes a hit, the Underwood marriage. Doug is found alive but once well he continues to search for Rachel and finds her in New Mexico where he ends up killing her. Frank is busy pushing his latest jobs programme called America Works and announces his intentions to run in the next presidential election. He even hires writer Tom Yates to write a non-fiction book to push the same causes. Claire too tries to make her way into politics and gets appointed US Ambassador for United Nations. During a trip to Russia, Claire condemns the Russia president, Viktor Petrov, bringing hard-sought collaborations between both countries to a complete halt. This brings a whole lot of stress on the Underwood marriage, bring us to the close of the season where Claire leaves Frank. In last year’s season four, Frank finds himself facing the young Republican Governor of New York Will Conway on his way to the next presidential election. While this is happening on one end, rumours begin to spread of problems between Claire and Frank. Claire, who is at her ailing mother’s house with Tom, begins to have an affair with him and informs Frank that she would very visibly end their marriage if he didn’t announce her as his running mate for the upcoming election. Things get worse for Frank when he’s shot and almost dies in the process. Doug, whose faith to Frank is undeterred, takes extreme measures to move Frank up a donor’s list to survive causing another man’s death. Another sub-plot in the show is through Thomas Hammerschmidt who played Zoe’s (from Season one) boss and is now gaining knowledge on how corrupt and twisted Frank is. The season closes showing Frank and Claire together again, giving hints that the weakness shown by their characters in the season is gone and they’re back in action! A sinister manipulative President lying to the American people and conning them for his own personal gain. Like I said before this show has never been more relevant than it is today. While the current real-life political situation is bewildering, the Underwoods give us a great insight into how misleading political power can be. All through the show Frank has climbed his way to the top, this season he needs to stay there. 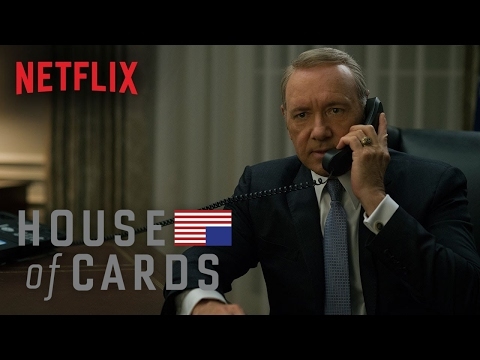 Kevin Spacey's winning hand: “House of Cards” a raging success in the Middle East! Is Amy Adams Starring in 'Hillbilly Elegy' Adaptation?